Fly like the superman with the Martin Jetpack! 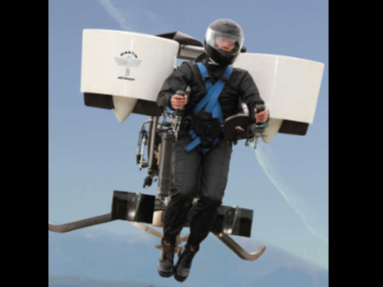 The jetpack consists of two ducted fans powered by a 200hp, 2 liter, two-stroke engine. By "simply" blowing air at a high velocity downwards the jetpack pushes the pilot in the opposite direction (up), hence the name Jetpack. Of course a design like this has a few safety concerns. In the case of an engine failure or other mechanical issues what happens? A jetpack can't glide like a regular airplane or autorotate like a helicopter, instead the pilot would just fall out of the sky to a certain death. To avoid dangerous situations the jetpack is equipped with a ballistic parachute, meaning a rocket deploying the parachute for a quick opening. Of course parachute rescue only works over a certain altitude above the ground; that's why the jetpack can be programmed to fly only a few meters above the ground or fly within certain limits. The Martin Jetpack has been designed to meet the requirements of the FAA Part 103, Ultralight Regulations.The Ultralight class does not require a FAA recognized pilots license. 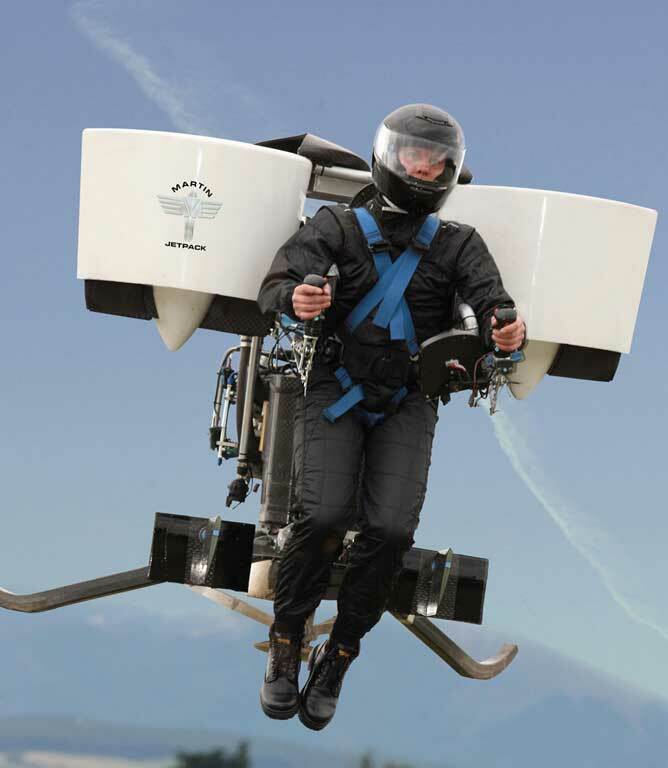 Makers of what might be one of the strangest ultralight aicraft out there, the Martin Jetpack! 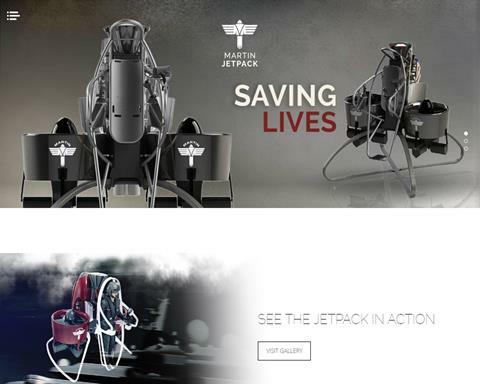 If you have the funds and want your very own special aircraft, have a look at their jetpack!